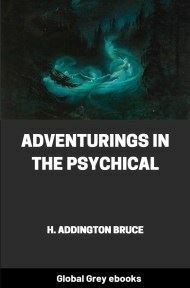 Chapters include: Ghosts And Their Meaning; Why I Believe In Telepathy; Clairvoyance And Crystal-Gazing; Automatic Speaking And Writing; Poltergeists And Mediums; The Subconscious; Dissociation And Disease; The Singular Case Of BCA; and, The Larger Self. Most people feel precisely this way about ghosts, though few are candid enough to acknowledge it. In broad daylight, or when seated before a cheery fire among a group of congenial friends, it is easy to be skeptical, and to regard ghosts as mere products of imagination, superstition, credulity, hysteria, or indigestion. But it is notorious that even the most skeptical are liable to creepy sensations and sometimes outright panic if they experience “uncanny” sights or sounds in the darkness of the night, or in lonely, uninhabited places. Churchyards have never been popular resorts of those who go for a stroll in the cool of the evening. And let a house once get the reputation of being “haunted,” it is next to impossible to find tenants for it. Yet this almost universal attitude is entirely and fundamentally wrong. There is no reason for being afraid of ghosts, and there are many reasons for believing in them. I do not, of course, mean to say that all ghosts are real ghosts. There are plenty of bogus ghosts, and there always will be, as long as men eat and drink too much, play practical jokes on one another, and allow their houses to become run down and infested by rats and mice. A single rat, scampering at midnight over the loose planks of an old attic, has often been quite sufficient to produce a counterfeit “poltergeist,” or troublesome ghost, of a highly impressive character. So, too, a pillow-slip swaying from a clothesline is apt to seem most ghostly to a gentleman returning home from a late supper. Ghosts, like much else in this amazing world of ours, have to be pretty sharply scrutinized. 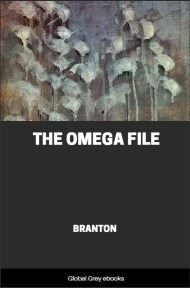 And the point is that, after centuries of contemptuous neglect, they have at last been made the subject of investigation by men and women competent for the task—persons trained in the cautious methods of scientific inquiry, and insisting upon the strictest evidential standards, but devoid of prejudice or prepossession. Their researches are still in progress, but they have already demonstrated that amid a multitude of sham ghosts there are perfectly authentic apparitions, displaying credentials too convincing to be denied. 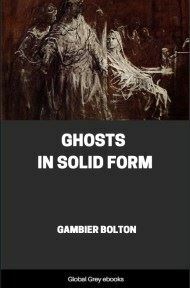 What is still more important, the labors of these scientific ghostologists—especially of those enrolled in the famous English Society for Psychical Research—have also resulted in throwing much light on the nature, origin, and habits of real ghosts. Take, for example, an experience that befell Miss Goodrich-Freer, at the time a most active member of the Society for Psychical Research, in Hampton Court Palace. This old building is unquestionably one of the most famous of all haunted houses. It dates back to the time of the first Tudors, and according to tradition is haunted by several ghosts, notably the ghosts of Jane Seymour, Henry VIII’s third queen; Catharine Howard, whose spirit is said to go shrieking along the gallery where she vainly begged brutal King Henry to spare her life; and Sybil Penn, King Edward VI’s foster-mother. Twice of late years the Howard ghost—or something that passed for it—has been heard, once by Lady Eastlake, and once by Mrs. Cavendish Boyle. The latter was sleeping in an apartment next to the haunted gallery—which has long been unoccupied and used only as a storeroom for old pictures—when she was suddenly awakened by a loud and most unearthly shriek proceeding from that quarter, followed immediately by perfect silence. Lady Eastlake’s experience was exactly similar. Both ladies, of course, may have heard a real shriek, possibly coming from some nightmare-tormented occupant of the palace. But no explanation of this sort is adequate in the case of Miss Goodrich-Freer, who passed a night at Hampton Court for the sole purpose of ascertaining whether or not there was any foundation for its ghostly legends. The room she selected for her vigil was one especially reputed to be haunted, and opened into a second room, the door between the two, however, being blocked by a heavy piece of furniture. Thus the only means of entrance into her room was by a door from the corridor, and this she locked and bolted. After which, feeling confident that nothing but a real ghost could get in to trouble her, she settled down to read an essay on “Shall We Degrade Our Standard of Value?” a subject manifestly free from matters likely to occasion nervousness. In fact, the essay was so dull that by half past one Miss Goodrich-Freer, not able to keep awake longer, undressed, dropped into bed, and was almost instantly asleep. Several hours later she was aroused by a noise as of some one opening the furniture-barricaded door. 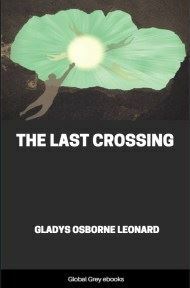 At this she put out her hand to reach a match-box which she knew was lying on a table at the head of the bed.